Classic Army BBs are made with extra care to ensure that you get the best for your airsoft gun. The BBs are polished for accuracy for smooth accuracy and are manufactured with tight tolerances to guarantee zero air bubbles. This means your BBs are going to withstand the pressure used to fly out the barrel. Classic Army BBs come with a cap that easily flips open to help pour BBs into your speed loader or magazine with the help of the feeding lip. Once exposed to nature, biodegradable BBs are designed to decay into the environment over a long period of time. 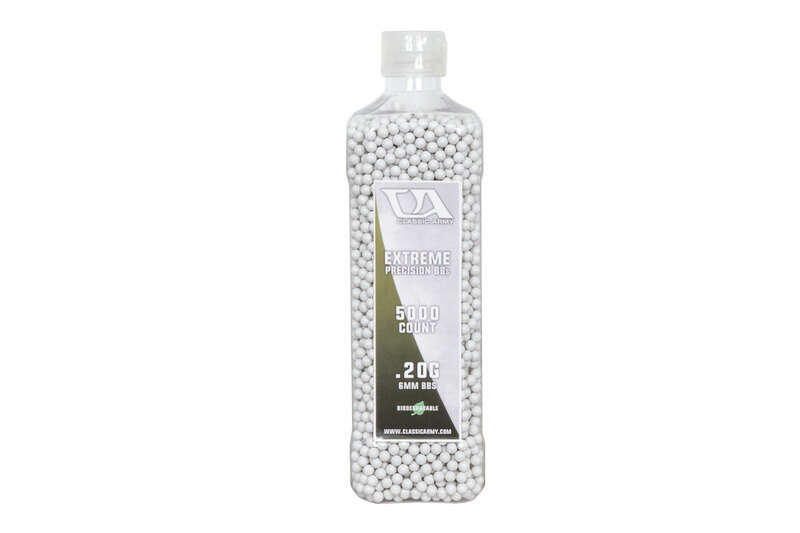 Model: Extreme Precision Biodegradable 0.20g BBs 5000ct.